Butch Walker is one of those guys I've been meaning to get around to listening to for a decade or so, but for whatever reason I just haven't. I'm certainly aware of his previous rock work with SouthGang and Marvelous 3 and always assumed his solo albums would resonate in a more reflective tone that would be right up my alley. Walker's eighth studio starts with the title track “Stay Gold,” which is a blazing bar rocker in the vein of Paul Westerberg or Jesse Malin; it is both anthemic and memorable, and yes, The Outsiders are referenced. The first single, “East Coast Girl,” follows and contains spoken verses from phone conversations and louder, giant choruses, bridging storytelling and rock together. Ultimately, though, Walker appears to be a romantic at heart, especially on tunes like “Wilder In The Heart,” which details an airport encounter and is a lush, expansive journey. Walker often points back to his glam rock days, especially on the '80s influenced sounds of “Ludlow Expectations.” But he's also transparent about his love for Elton John, such as the piano balladry of “Descending,” a duet where Ashley Monroe's sweet vocals add greatly to the atmosphere. The second half of the album finds Walker expanding his horizons with accordions on “Irish Exit” and the horns of “Mexican Coke.” A couple of softer tracks appear near the end: the gentle “Can We Just Not Talk About Last Night?” and the campfire-esque “Spark:Lost,” which brings to mind the early work of Ryan Adams, who actually plays keys and guitars on the disc. The album concludes on the duet of “Record Store,” an acoustic picking ballad not too far off from the aforementioned Adams or Rocky Votolato; meanwhile, the violins create a somber mood on this closer. Simply put, Walker is a talented songwriter. Fans of Frank Turner, Brian Fallon, and even legends like Bruce Springsteen or Billy Joel will find interest in the Americana, pop, rock, and grit of Stay Gold. © 2017 Tom Haugen and The Daily Vault. All rights reserved. Review or any portion may not be reproduced without written permission. 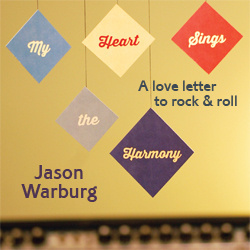 Cover art is the intellectual property of Dangerbird Records, and is used for informational purposes only.